As games move toward 'always online' -- it's important to keep the lines of communication open. Online gaming has become almost as ubiquitous as cell phones these days, especially for our kids. Even Minecraft has become a pastime that they can share on almost every platform. With games moving toward “always online,” it’s our responsibility as their parents to ensure that they’re making good decisions about their online safety. Part of that responsibility is providing them with the information they need to put boundaries in place, but it’s up to us to lay the foundation of safety and security. It’s important to set ground-rules for online play before you hand your child a gaming device. They need to understand that if they don’t play by your rules, they’ll lose the privilege of playing online with their friends. They need to know that their messages will be watched, their online sessions monitored, and their friends vetted. If things start to get out of control, you’ll pull the plug. Even if you only have the one console, sit down with your child to play a game that’s “always online” or multiplayer. It will give you the opportunity to model good behavior. Give your child the opportunity to play with other people online, even during games like Overcooked or LittleBigPlanet. If the interactions get out of hand, you’ll be right there to talk with them about what went wrong and how to handle it in the future if you aren’t there. If you have more than one console, play together online. Invite your friends to play with you and your child and allow your child to invite their friends, too. Not only does that ensure a big safety net in the midst of an online game, but it’s a shared learning experience for parents and children alike. We teach our kids not to talk to random strangers on the street from the time they’re very small. While they’re not in immediate danger on the internet, young children don’t necessarily have the savvy they need to discern good interactions from inappropriate ones. If your 10-year-old is interested in playing Minecraft with their friend while they’re in different locations, make it policy to get to know that friend. Treat online friends the same way you’d treat real-life friends — consider these interactions the digital equivalent of a playdate. Make sure that the sound from the headset is echoed to the television so that you’re a part of the conversation, even though you’re not playing with them at the moment. If the playdate goes south, you’ll know what happened and you can talk about why playing with that friend is a bad idea in the future. Opting out of voice chat with randoms is a good idea for children and adults alike. Anyone could be talking with your child in an online multiplayer game without your knowledge, if you don’t check in on them. Voice chat helps keep the worst of it at bay on console, but that isn’t necessarily the case on PC. The most important thing to do in order to get your child to understand why it’s important to have voice off is to have the conversation. Expecting your child to shrug their shoulders if their friends all play with voice when they play with randoms makes you the bad guy in their mind. So, talk to them about your concerns. Lead with compassion and let them know that while you know they’ll make good choices, you don’t want to put them in a position where they can be bullied online, especially if they’re LGBTQIA+, a person of color, or a girl. Having a guild and guildmates in MMOs is part of the experience of playing any MMO. For teens looking to have a digital social circle, their guildmates become their online families. But sometimes families fight and it can feel isolating. Talk to your teen about their guild. Engage with them about what kinds of raids they’re going on (even if you don’t know anything about the game, it’s important to show interest). Ask them about guild dynamics and their guild leader(s). Are they having problems with any of them? Are there things going on that they want to talk to you about? How do they feel about their guildmates? Pay attention to patterns and be prepared to have a hard conversation about bullying and emotional abuse. There are some guild leaders (and guilds, in general) that thrive on abusive language, emotional manipulation and psychological warfare. It’s a scary thought, so keep the communication lines open. Vet your child’s online contacts before they become online friends. You’re not always going to be able to catch the requests as they come in, unless you’ve set up your child’s account to be a part of yours. But even with older children and young teenagers, it’s important to do semi-regular audits of friends-lists to see who they’re talking to and how. The vitriol that’s spewed in online games don’t just pop up out of nowhere — kids learn it from one another. If it goes unchecked and unchallenged by absent caregivers, the language becomes part of the culture, and it becomes that much more difficult to undo the damage done to impressionable children who are learning their place online. Those of us who grew up on the internet, especially in the '90s, are probably aware of this little thing called netiquette. Netiquette is old-school — it existed before social networks and it ensured that the inhabitants of a particular online space (usually a forum or message board) would adhere to an agreed upon set of rules or would be kicked out. But netiquette only worked when everyone agreed to that particular social contract. When the internet became everyone’s playground, netiquette became a forgotten relic. 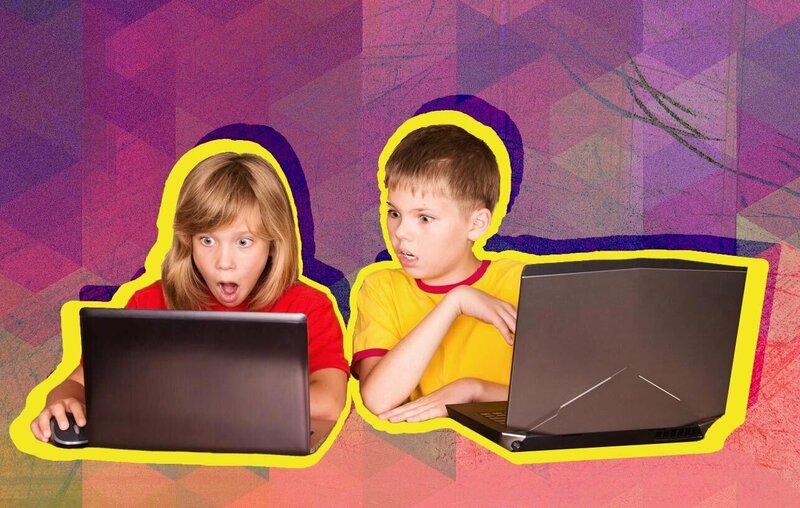 You can’t rely on strangers, regardless of their age or maturity, to teach your kids how to interact with one another in an online space, especially while gaming. Talking about inappropriate, harmful language is just as important as ensuring that they’re playing games within their maturity range. The work doesn’t stop with the conversation. The other portion of this is modeling the behavior you want to see. If you’re the type of gamer who gets into a game and immediately starts throwing around aggressive, toxic language, think about curbing that habit. Ask yourself if you’d want your child to interact with you in that capacity. If the answer is no, you can’t expect your child to make good decisions online if you’re not modeling the behavior first. Talking about language is important, but when talking fails and your child is put into a situation where language has become abusive, they have to know how to take action. Individual games are slowly coming around in allowing players to report one another for abuses. The best way to empower your child to stand up for themselves in online spaces is to give them the technological tools they need. Show them how to report players on Xbox Live, PlayStation Network and Steam, especially. Show them how to block other players on their platform of choice. Show them how to use Discord properly. Show them how to report players in League of Legends and Overwatch. With these tools and tips, it won’t just be up to you to ensure they’re safe online. Your child will be making decisions to contribute positively to toxic online spaces, even when you’re not there. What questions or concerns do you have about online gaming? Let us know in the comments section below.